The detached bungalows are spread throughout the green, natural park. 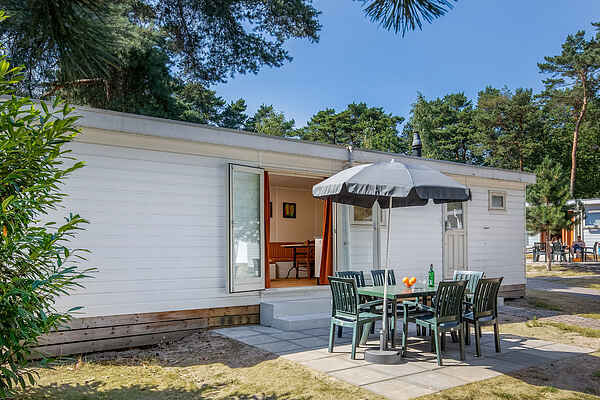 All bungalows have a comfortable decor and enjoy a terrace and garden furniture. You can choose between different types of bungalows. There is a 6 pers. bungalow which covers 2 floors and has a peaked roof (NL-5731-01) and there are two types of ground floor bungalows; one which sleeps 4 persons (NL-5731-02) and one which sleeps 6 persons (NL-5731-03).